Nokia has said it has entered into a memorandum of understanding to acquire Alcatel-Lucent in a deal that would value the French telecommunications equipment maker at €15.6 billion ($16.5 billion). The Finnish company is also considering a possible divestment from its Here mapping and navigation business. On Tuesday, Nokia said it was in talks for a merger with Alcatel-Lucent. Under the all-share deal announced Wednesday, Nokia will make an offer for all of the equity securities issued by Alcatel-Lucent, through a public exchange offer in France and the U.S., on the basis of 0.55 of a new Nokia share for every Alcatel-Lucent share. After the transaction, Nokia shareholders will hold 66.5 percent of the equity of the combined company, while Alcatel-Lucent investors will hold 33.5 percent. The combined company will be called Nokia Corporation and have its headquarters in Finland and a strong presence in France, which will have some key business locations and research and development centers. 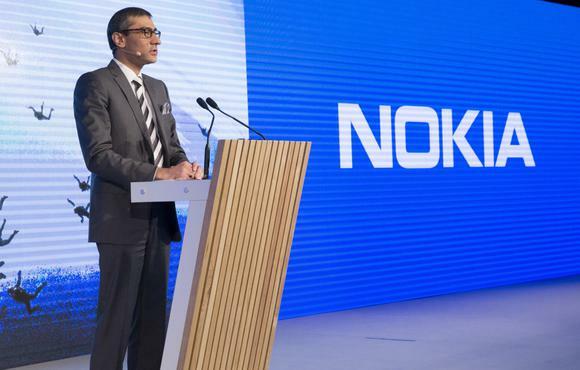 Current Nokia CEO Rajeev Suri is expected to continue in this position in the combined company, while Risto Siilasmaa, current chairman at Nokia, will also remain in the post. The boards of both companies have agreed on the merger, which is expected to be completed by the first half of next year. Alcatel-Lucent and Nokia have complementary portfolios and geographies, with strengths in the U.S., China, Europe and Asia-Pacific, the companies said. The new entity hopes to combine the best of fixed and mobile broadband, IP routing, core networks, cloud applications and services. The business is expected to operate under the Nokia brand, while retaining Alcatel-Lucent's Bell Labs brand for its networks-focused innovation activities. The expanded company had net sales of nearly €26 billion in fiscal year 2014, giving it the scale after the merger to better compete with top-tier players Huawei Technologies and Ericsson. A deal would combine Nokia's focus on the mobile equipment business with Alcatel-Lucent's business in fixed networks, which would be an advantage as mobile and fixed networks become increasingly integrated, research firm Ovum said Tuesday, after the companies announced talks. There are, however, overlaps in the companies' product lines in areas such as mobile broadband and small cells, said Mark Newman, chief research officer at Ovum's telecoms research business. Keeping two parallel product lines and servicing customers would counteract the benefits of increased scale, but attempts at rationalization would be difficult, and dealing with French labor laws could place limitations on what Nokia can achieve in this area, Newman said.